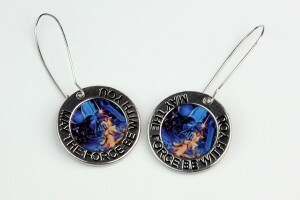 I was impressed with the detail and quality of Loungefly’s necklaces I picked up from Hot Topic a little while ago. 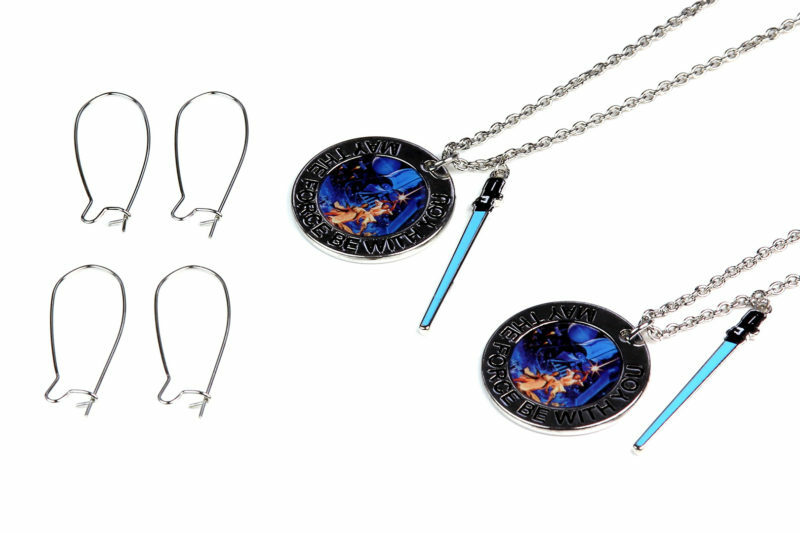 During my regular check of Hot Topic’s website, I noticed they still had the MTFBWY pendant necklaces in stock, which features the Hildebrandt brothers classic poster art. I decided to buy two more, with a small DIY project in mind – turning a matching set of necklace pendants into earrings. 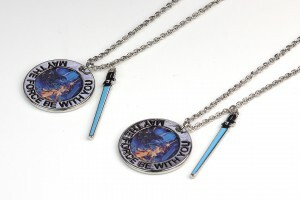 This particular necklace was a great choice as it comes with two separate pendants on each chain – the medallion and the lightsaber. The pendants are attached to the necklace with small rings, which are removable. I visited my local craft store and bought a small set of silver earring loops (as seen in my photos) to hang the pendants from. I like this design as they can’t fall out while worn and the pendants don’t need additional rings to attach to the loops. 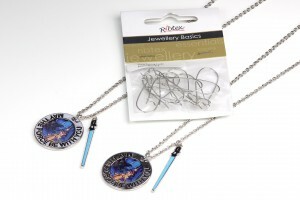 I removed the pendants from the necklaces by opening up the small rings with pliers. 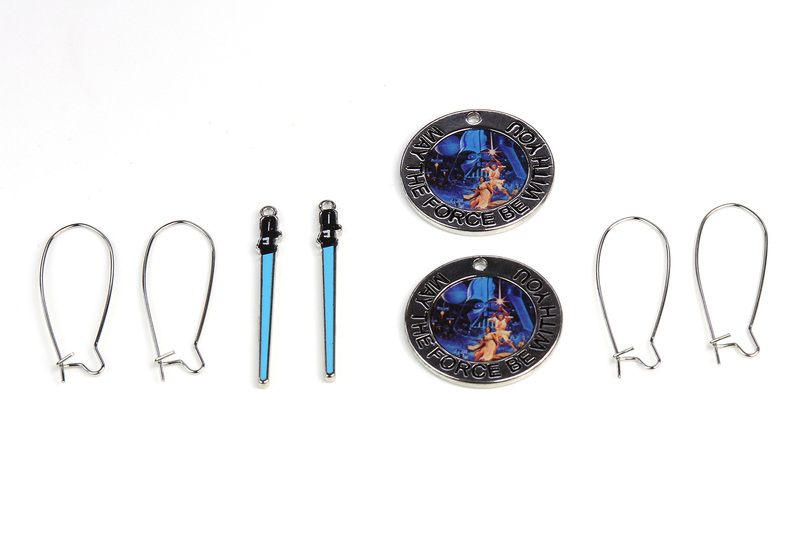 Once the pendants are removed, it was a simple task of sliding the pendants onto the earring loops – and done! 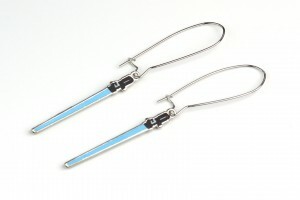 The pendants hang the right way (facing forward) when worn, with no knowledge of jewelry techniques required. 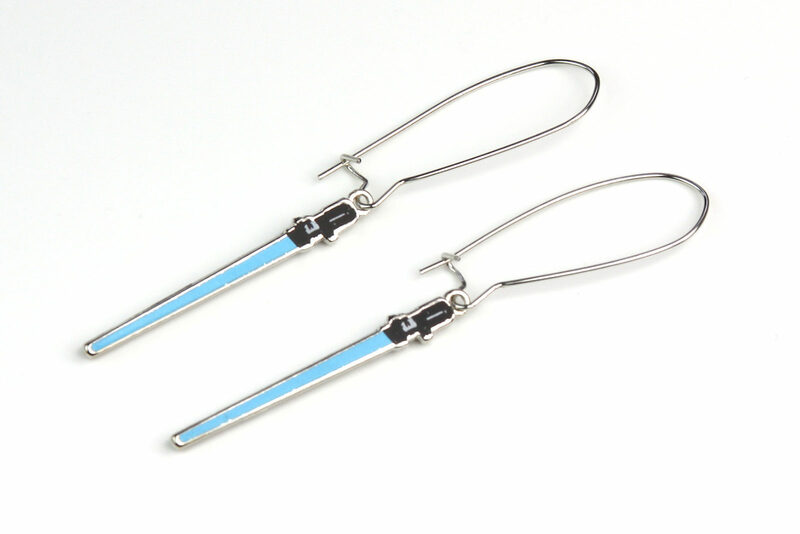 I love my new earrings – I can even wear them with my matching necklace. The necklaces are still available from Hot Topic (at the time of writing) if you want to follow this DIY too!